Secret Garden and Shakespeare’s memorial room. I was in the City Centre yesterday with a friend and we were a bit early for our event so he took me to Birmingham Library to show me the roof top gardens and Shakespeare’s Memorial Room. I didn’t even know this was here and it’s all free to enjoy. There is a lift to take you up to the secret garden and it’s well worth checking out. The views are amazing, that’s assuming you have a head for heights. The gardens are a lovely escape from the hustle and bustle of street level. Then up a little higher and there is a room that has come, not from the last old library, but from the library that was there before that! I could have spent ages in here, but we did have a lunch to attend. I’ve promised myself I will take my husband and any other family members that are interested as I found it fascinating. This is somewhere I found really interesting and I’m not even a huge Shakespeare fan, so it’s definitely somewhere for any Shakespeare enthusiasts to check out. How did I not know this was here? 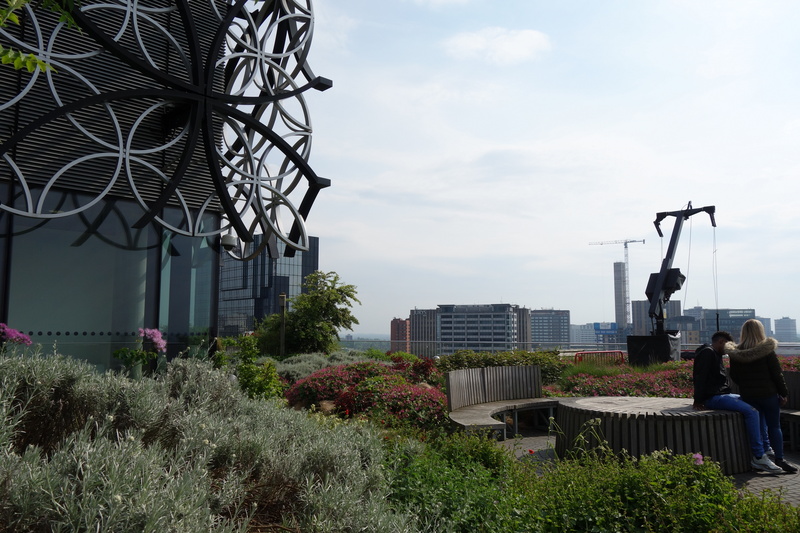 Library of Birmingham, secret garden, Shakespear, Views over Birmingham.